Amsterdam has a long history in pinball. In the '80s and '90s there were numerous arcades in the city, where you could play pinball all day long. The very latest titles were available to play on location. At the ‘Play Inn’ near Central Station I played Scared Stiff and Junkyard. They just lost their ‘New in Box’ status that very day. Pinball machines were often replaced by slot machines, as this was the trend all over Europe. 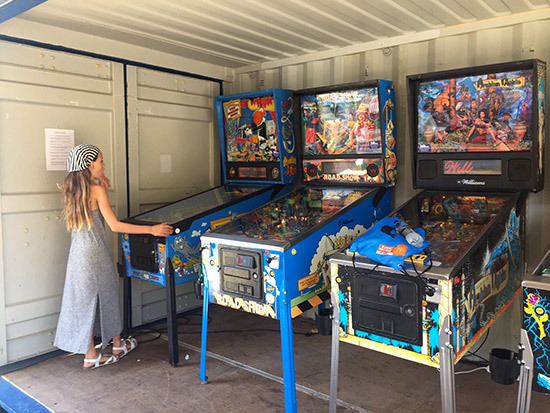 However, Amsterdam remained a good city for location pinball. As you might know, Amsterdam still has hundreds of coffeeshops. Many of these still offer pinball machines for location play. Besides that, many cafe’s and snackbars still have a pinball machine, and over the last few years the number of machines per location has been increasing. Why has this happened? There are a few reasons for that. 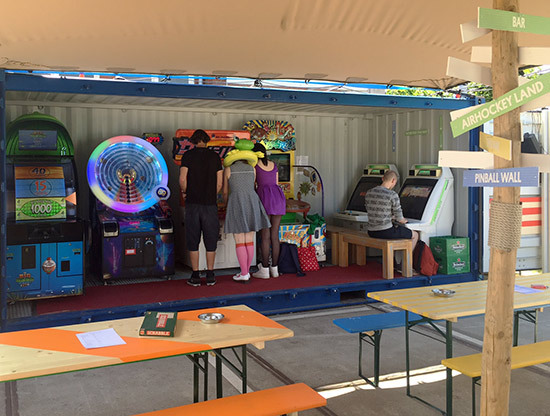 The most important one is the fact that pinball fan and coin-op amusement operator Dieter van Es, from Van Es Amusement, placed more pinballs in Amsterdam. An extra 20+ pinballs on location in the last year alone. All his machines are maintained well and for just €2 you’ll get three games of four balls each. Besides that, pinball fans should really visit coffeeshop ‘The Spirit’ (Westerstraat 121). At this location you’ll find eight modern titles: AC/DC Premium, Iron Man, Metallica Master of Puppets LE, Pirates of the Caribbean, Shrek, Star Trek Pro, The Walking Dead Pro and The Wizard of Oz. The arcade The TonTon Club opened just one year ago. It’s located in the Red Light district, so a very ‘famous’ area, and it has been an instant success story. Of course it has popular arcade and racing games, but the most important traffic-builders are the 5 pinballs in the line-up. Currently these are: Attack from Mars, Metallica Pro, The Lord of the Rings, The Party Zone and WWE Wrestlemania Pro. 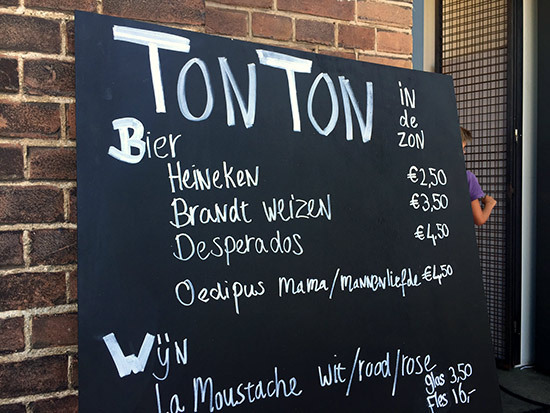 At the beginning of August TonTon opened a new ‘pop-up’ outdoor event in the Westerpark, a well known park in Amsterdam. This event runs for eight weeks only. It’s called ‘TonTon in de zon’, which means something like ‘TonTon in the sun’, referring to the Dutch summer. The Westerpark is close to the Central Station and Station Sloterdijk, so it’s easy to get there by public transport. The park is a popular place for everybody, while it also has many spacious lawns and lots of pubs and restaurants. The machines themselves at this venue are stored in containers, at the address Polonceaukade 27 (close to the bridge). You’ll notice them immediately when you see the many colourful sunshades. 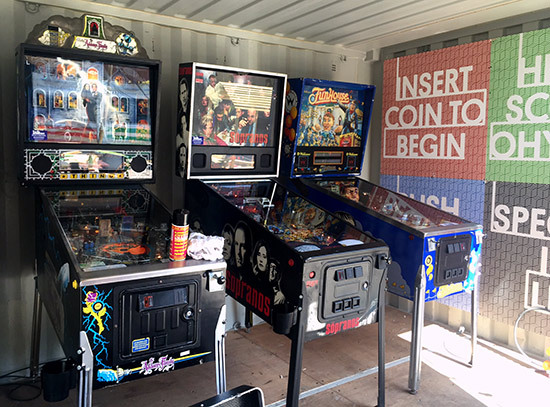 Apart from the pinball machines there are air hockey tables and latest arcade games. Every week the catering company serving guests is changed to a different caterer. Lots of different beers are available, including delicious local offerings from the Amsterdam beer brewery Oedipus (Mama & Manneliefde, both priced at €4.50). But we are there for pinball of course! 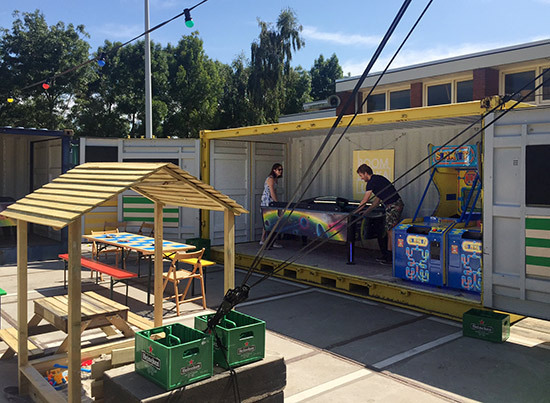 Six machines are located in one of the containers, with Van Es Amusement providing them. Veteran designer Pat Lawlor is present with three titles: The Addams Family, The Sopranos and Funhouse. Also in the same line-up are a Tales of the Arabian Nights, a Red & Ted’s Road Show and a Rocky and Bullwinkle and Friends. 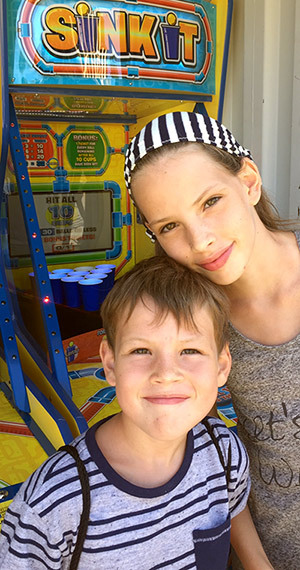 Again, all the pinballs are in perfect condition, and when there are small hiccups (from the many plays they receive) they are solved the same day. When we were present, The Addams Family and The Sopranos were played almost the whole time. It's great to see so much enthusiasm for pinball. Besides the fact that you can play pinball at this event, the atmosphere is very attractive and relaxed. There are ‘offline’ board games available to play as well, and there is great music in the background. The public at this event is quite mixed; from ‘die-hard’ gamers to young families. This event only runs until September 27th. In the last months of 2015 an additional second, permanent TonTon Club arcade will be opened close to this venue, so more info about that later in the year!